Johns Hopkins researchers have published findings from an osteoarthritis study that could eventually make joint replacement an obsolete treatment for the debilitating disease. According to Medical News Today, their findings challenge the traditional view of how osteoarthritis develops. Leading the team was Xu Cao, Ph.D., director of the Center for Musculoskeletal Research, a part of the Johns Hopkins University School of Medicine. Study findings appeared in the journal Nature Medicine. 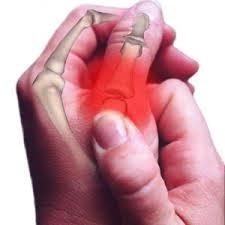 Osteoarthritis, a degenerative joint disease, is the most common type of arthritis. The Centers for Disease Control and Prevention says around 27 million U.S. adults suffer from it. It affects more than a third of those older than 65. The parts of the body the painful disorder most frequently affects are the joints of the hands and spine, the knees, and the hips. According to the Mayo Clinic, the traditional view of the cause of osteoarthritis is deterioration of thecartilage that cushions the ends of bones in affected joints. This deterioration occurs over a period of time, eventually resulting in bone rubbing against bone. Cartilage caps the ends of bone to provide a smooth surface on which a joint can rotate. It also absorbs some of the strain and weight on a joint. The lack of any effective treatment except pain management and joint replacement surgery led the Johns Hopkins team to study the development of osteoarthritis. Healthcare professionals hold that the cause of harm to cartilage and pain to the patient is unstable mechanical pressure on joints. However, the researchers went a step farther. They believe that initial damage to cartilage causes the bone underneath it to start building extra bone. The surplus bone stretches the cartilage above it, causing more deterioration. The study used mice with anterior cruciate ligament tears, events that often lead to osteoarthritis in human knees. The researchers observed the development of large amounts of TGF-beta1, a protein, in the bone of the injured mice. The protein signaled stem cells to build new bone, which caused a strain on cartilage. A computer simulation confirmed the extra bone formation that the researchers believe is the cause of development of osteoarthritis. Scientists were able to inject a drug to inhibit TGF-beta1 directly into the bone under the cartilage without causing any negative effects on the cartilage. They achieved similar results when they generically disrupted development of the extra bone. I have osteoarthritis in both knees. However, orthopedic surgeons are reluctant to eventually operate on either one because I take an immunosuppressant drug that makes me more susceptible than average to infection. The Johns Hopkins team is developing a clinical trial for human patients in the early stages of osteoarthritis. If their efforts are successful, they could make joint replacement surgery for osteoarthritis obsolete and eliminate a lot of pain anticipated from future damage to my knees.